The satellites that orbit on the space will communicate with the device that is set in your vehicle. Among the 24 satellites that orbit the earth, which transmits signals to the earth.Every 12 hours it is set to orbit the planet and a triangulation is achieved, aimed specifically for this purpose. To define triangulation in GPS vehicle tracking system, three active satellites interact with the GPS tracking device and transmit signals to them with the knowledge about the distance between each of the satellites that is closer to it. The precision with which the GPS works is accurate. It can track exactly where your location is. Its accuracy might vary on different weather conditions, your traveling speed etc. Apart from that, there is cellular tracking device and Satellite vehicle tracking. Cellular tracking works with cellular towers and other wireless networks, which you can find mainly in cities and towns. 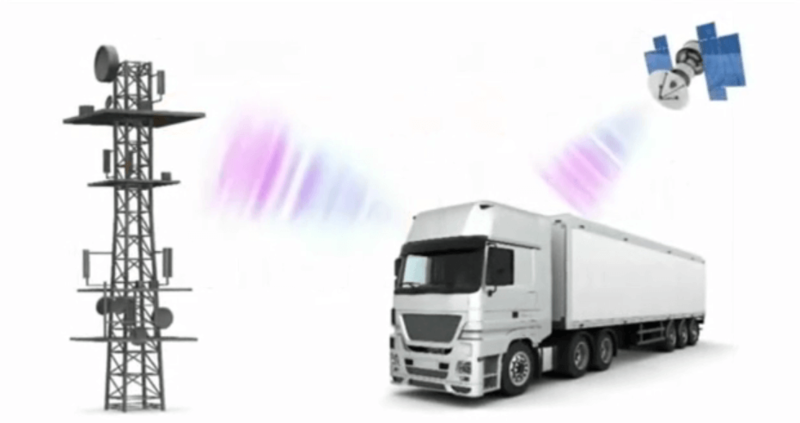 Satellite tracking as the name suggests, works with satellites and is mainly used for moving vehicles which may travel longer distances covering rural as well as urban areas. What disturbs the satellite signal to earth may be electrical particles in ionosphere and densities in troposphere which may reduce the speed of the satellite signals. This is why we receive errors in our GPS devices and receptive errors sometimes. Another reason stated to be denoting wrong timing errors is because GPS receiver clocks and the corresponding satellite’s clock work on different gravitational levels. Therefore, the time ticks differently for both the sides.